Born in Belfast in 1964, Deirdre Robb was educated at the University of Ulster, BA fine 1999 and Masters in 2001. Her studio practice has an interdisciplinary approach including installations, sculpture, photography, mixed media works and more recently performance based practice. Her work is conceptually based which comments on political and cultural themes. 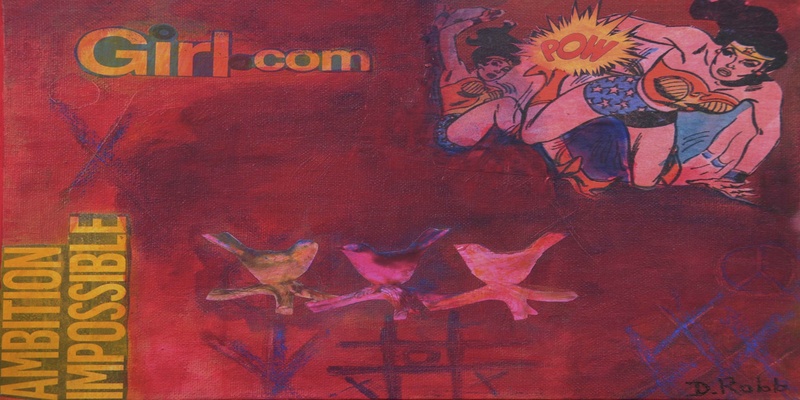 Robb’s artworks have been widely exhibited with shows in Ireland, UK, Italy, Holland, Germany, Kentucky, Michigan, Nashville, Ohio and Australia. She has also been awarded residencies in Louisville, Artopia & Water Tower, Italy in Pauda, Katoomba near Sydney and Tyrone Guthrie in Ireland. Art festivals and programmes that she has been selected to participated in are ‘Passion for Freedom’ in London ‘Free City ‘in Flint, ‘Scenic World’ Sculpture exhibition in the Blue Mountains Rain Forest, The ‘Grasses’ project in Kentucky, Locally she has exhibited regularly in the International acclaimed Belfast Festival at Queen’s, Eastside Arts Festival and Women’s Work Festival by Oh Yeah Music Centre and Mayhem festival in Livestock performance art centre. Robb also curates programmes with a primary focus on excellence and challenge in visual arts practice. This includes delivering permanent and temporary public artworks and socially engaged programmes such as the ‘Starlings’ ‘Urban Meadows’ & ‘Wall of Hope’ and the large-scale ‘Art in the Eastside’ programme which Robb has curated since 2009 and presents artworks from local, national and International artists on billboards and outdoor temporary Installations. Robb is a founder member of Embrace Studios where is currently a resident artist. She is a member of the National Collage Society and the International Society of Collage artists. Robb was a founder and former Chairperson of Creative Exchange Artist Studios former Director of The Engine Room Gallery, The Hedge Gallery, New Belfast Community Arts Initiative, Community Arts partnership and the Northern Ireland Visual Arts Forum.